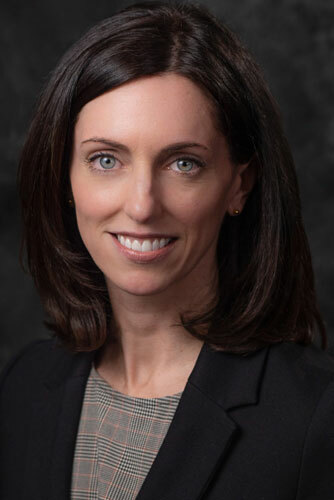 Megan Collins has been practicing law, including litigation, for more than ten years and is licensed in New York, Connecticut, and various federal courts. Her previous experience included planning and zoning, education law, and litigation including creditors’ rights, land use, and real estate matters. Ms. Collins has represented clients before municipal boards and in litigation challenging land use and SEQRA determinations, public school districts in all aspects of operation, and banking clients in litigation pertaining to collections and foreclosures. Ms. Collins attended the University of Vermont and earned her Bachelor of Arts, with honor, in History and Political Science in 2003. Ms. Collins was awarded her Juris Doctor, with honor, in 2006 by Pace University School of Law, where she was a member of the Pace Environmental Law Review. Ms. Collins is currently a member of the Board of Directors of Capabilities, Inc. and Watson Homestead Conference & Retreat Center, Inc. She also volunteers with the Fund for Women of the Southern Tier, Inc. Ms. Collins previously taught as an adjunct professor of law at Pace University School of Law and has lectured on issues related to land use and zoning. Previous Article Anna Czarples, Esq.